If your house caught fire in the middle of the night, you’d want to wake up to deal with that emergency, right? 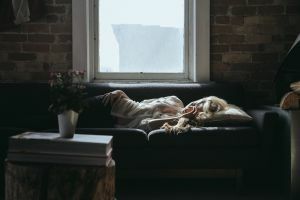 In a new prescription sleeping pill study published this week in Frontiers in Behavioral Neuroscience, half of the study participants slept through a fire alarm as loud as someone vacuuming next to their bed. Researchers from Kagoshima University, Japan estimated that millions of people taking prescription sleeping pills like Ambien and Halcion would sleep through a fire alarm. They propose that a new class of hypnotic drug might be used as an alternative which would function like a sleeping pill while still allowing the brain to wake up during an emergency. The most widely prescribed type of sleeping pills, benzodiazepines, are really effective at getting the brain into “sleep mode”. Unfortunately, they act as a sort of blanket, suppressing areas of the brain that they don’t need to. That includes the area of the brain that decides which external information, such as noises in the night, to pay attention to. Over the past decade scientists have been developing a new class of hypnotic drugs called dual orexin receptor antagonists (DORAs). DORAs more selectively target the brain’s sleep/wake pathways making them a safer alternative to benzodiazepines while also leaving the user with a reduced hangover-like affect these drugs can cause. When tested in lab mice, those that had been given the benzodiazepine triazolam were slower to rouse than those given DORA-22 when presented with the sounds of a fox, a serious threat to a mouse. Better still, once the danger had passed the mice given DORA-22 fell back asleep as fast as the mice that had been given a sleeping pill, and significantly faster than mice that hadn’t been given anything at all. More human testing is needed in order to show DORAs have potential applications as sleep aids. Since 2014, a DORA called surovexant has gained regulatory approval in Japan, the USA and Australia. High costs and limited clinical testing of surovexant have stymied its use but new types of DORAs currently in development could some day offer better results at a lower cost.